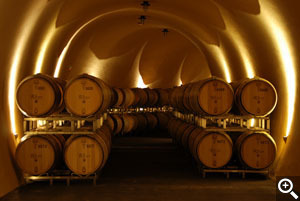 Welcome to the Fall 2010 newsletter from Rhys Vineyards! This offering introduces our first wines from the outstanding 2008 vintage. While 2008 presented some enormous winegrowing challenges, we adore the harmonious character, freshness and depth of these wines. 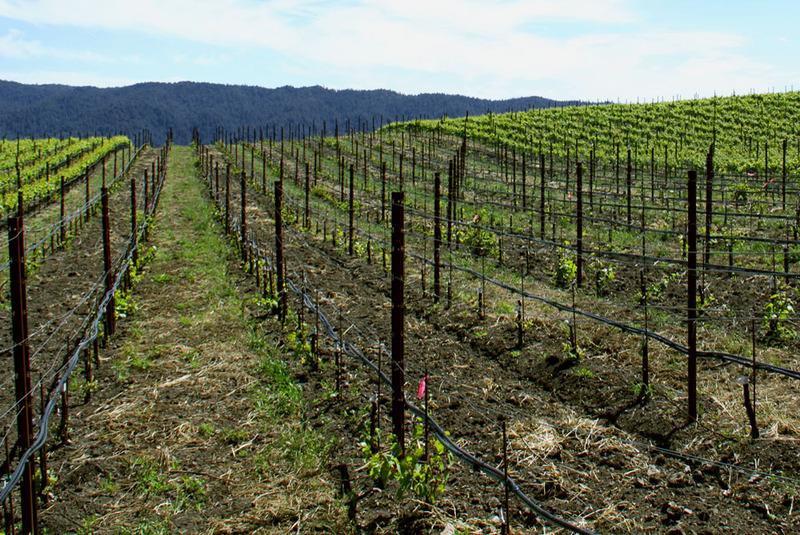 New hillside plantings at our Bearwallow Vineyard in Anderson Valley. The 2008 vintage brought some of the most challenging conditions we have seen. 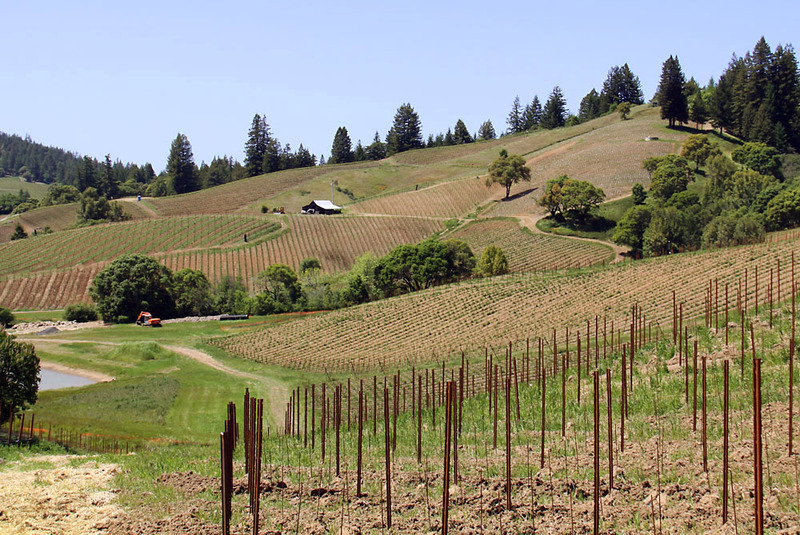 Spring weather plays a major role in shaping the character of a vintage and much like in 2007, dry spring weather led to dry soil conditions throughout the 2008 growing season. This positively impacts wine quality as the vines react to water deficits by growing grapes with thicker skins and ripening them at lower sugar levels. In turn, these skins contain more of the compounds that create intense, concentrated wines. These dry conditions can also produce extremely low nighttime temperatures and, in April of 2008, California experienced some of the most severe frosts seen in the last 30 years. The many advantages of growing grapes on slopes become clear when studying the attributes of Europe’s best vineyards. 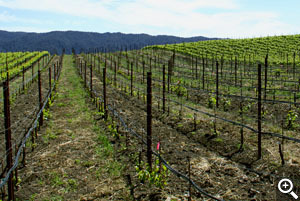 While the physical aspects of slopes, such as good drainage and shallow rocky soils, have a big impact on the quality of wine produced, locating vines on slopes also provides critical built-in frost protection. A steady slope allows the cool air to slide down the hill without the pooling and stratification that causes temperatures to reach extreme lows. Rhys’ vineyards are planted on some of the steepest slopes in the New World and this built-in frost protection helped the majority of our vines escape damage in 2008. One heartbreaking exception was our Chardonnay at Horseshoe Ranch. This section of the vineyard lies at the foot of a steep slope and frost claimed the entire crop. Under the circumstances, we felt quite fortunate to lose only one bottling! 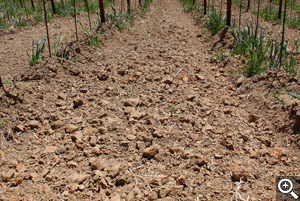 Rocky soils in new vineyard blocks at Bearwallow Vineyard. Spring weather further shapes the vintage as the weather around flowering determines the shape of the berries and clusters. Loose clusters and small berries lead to wines with greater depth and concentration. This is exactly what occurred in 2008 as the dry and frosty conditions caused our vines to set sparse clusters of unevenly sized berries, dramatically reducing yields. This is the phenomenon the French call “millerandage” or “hens and chicks.” Having escaped the worst of the frost, the stage was now set for something special but there was yet another challenge looming. After two years of drought, California suffered a tremendous number of forest fires through the summer of 2008. If the smoke is thick and pervasive enough, it can impart a tainted smoky flavor to the wine. Amazingly, and for the second time this vintage, Rhys was spared. Our remote corner of the northern Santa Cruz Mountains experienced no local fires and our vineyards were able to quickly ripen their small crops in clear skies with no smoke in sight. After such a tumultuous growing season, it is really ironic that one of the primary traits of 2008 wines is their fantastic harmony. Each component is in perfect place and proportion. The wines are extremely deep and energetic with exceptional freshness and good clarity of site expression. Of special note, our 2008 Rhys Alpine Vineyard Pinot Noir contains the fruit from the Hillside blocks of the vineyard that has been bottled separately in past vintages. We expect our 2008s to drink well early but they should also improve for a decade or more in the cellar. Our new cave is finally finished! Starting with the 2009 vintage, Rhys’ estate vineyards reached full production, allowing us to stop purchasing fruit. This means that the 2008 Alesia Sonoma Coast Pinot Noir is our last Alesia bottling. Most importantly, this bottling contains all of the fruit that had been vineyard designated in prior vintages. While we do not have a Falstaff, Green Valley or Chileno Valley bottling in 2008, we were able to bottle a large Sonoma Coast blend that contains the best barrels from our Sonoma sources. Alesia fans should get it while it lasts! 2010 has been a busy year at Rhys. 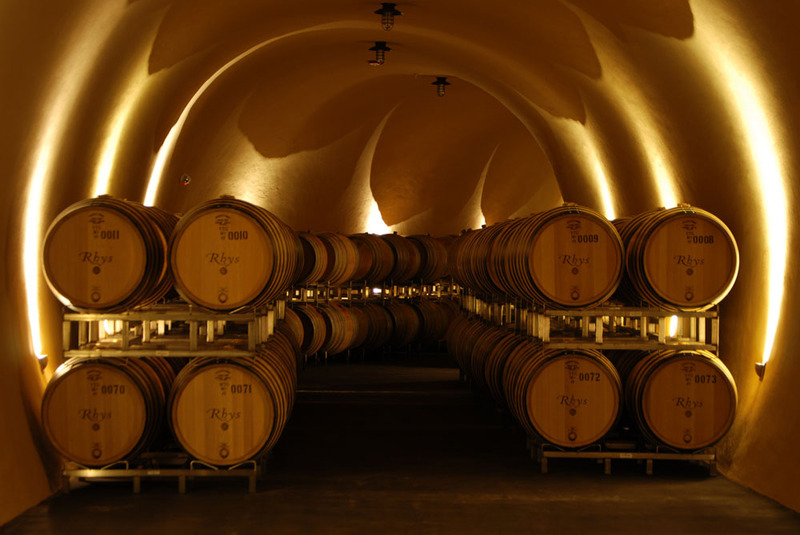 After 5 years of planning and construction, our Skyline wine production cave is finished and will be utilized for the 2010 harvest. The new winery is closer to our vineyards and will allow us to raise our wine with the perfect temperature and humidity. Regrafted vines at Horseshoe Vineyard. We continue to refine our vineyards for optimal vine balance and maximum quality. We have also been making many vineyard improvements. 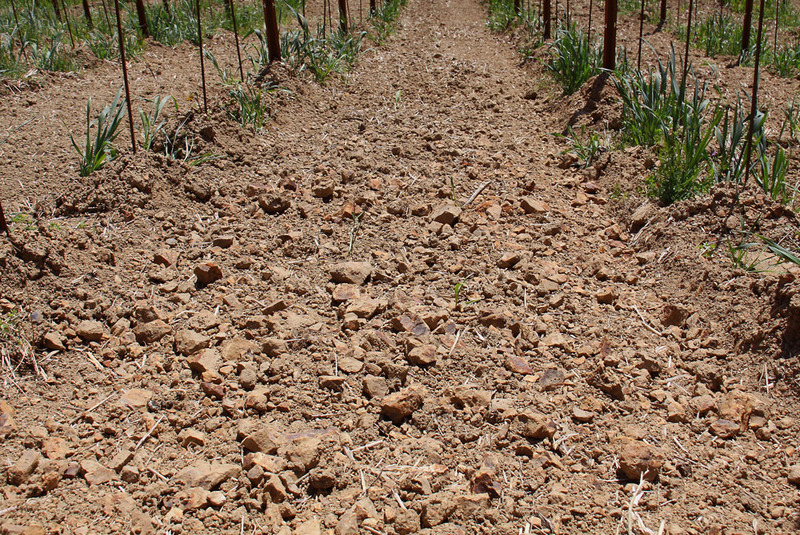 Our estate vineyards have over 80 combinations of soil, aspect, rootstock, spacing and clones. Since we ferment and evaluate each of these experiments separately, we have been able to identify combinations that produce optimal quality at each of our sites. In addition to tasting the wines, we look for vines that naturally produce a perfect balance of crop and canopy without requiring excessive management. In some cases, we have determined that we can achieve higher quality by regrafting the vines to different clonal selections. The majority of the new grafts are a special “Selection Massale” or mixture of clones that we have found to be optimal for a given vineyard. This is an expensive undertaking but we hope that it will allow us to continue to steadily increase quality over the coming years. With the maturation of our Horseshoe and Skyline vineyards, we have more Rhys Pinot Noir in 2008 than we did in 2007, which means we can offer slightly higher allocations this year. Additionally, we are able to offer our 08 Alesia Sonoma Coast Pinot Noir without any purchase limits. Unfortunately, the 2008 Rhys Alpine Chardonnay production was below the already low 2007 level and this wine remains quite limited. Allocations at Rhys are based on aggregate purchase history. If you are not allocated all of the wines that you would like, please remember to fill out the Additional Quantities section of the order page on our website, as we are often able to fill these requests. As usual, all wines are offered with free UPS ground shipping and UPS 3 Day Select is offered as an upgrade. Also, we will be hosting a pickup day at our new Skyline cave on Saturday, November 6th from 10AM – 3PM. In addition to a tour of the new winemaking facility, we will be providing a preview of a couple of the wines in our upcoming Spring Release. If you would like to attend the pickup day, please be sure to select “Pick-up at Winery” shipping option during checkout.